It’s incredibly hard to take a well worn genre and make it seem fresh and original unless your names just happen to Joel and Ethan Coen. Having made people sit up and take note of them with their first three films, the noir thriller Blood Simple and the wacky crime comedy, Raising Arizona, their third film took everyone by surprised: a gangster film that had the feel and tone of those from the 30’s, while at the same time giving the feeling like we’ve never seen this kind of film before. 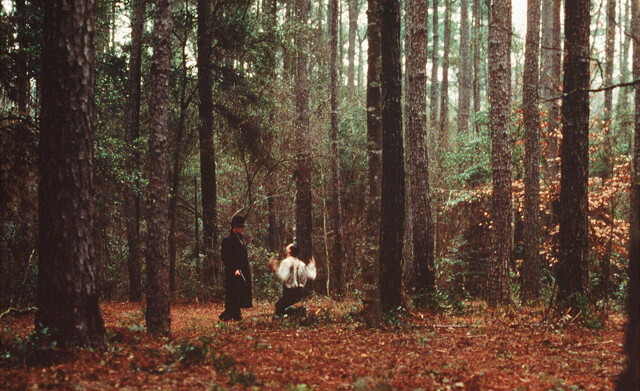 Miller’s Crossing is a triumph in every single department. Tom Regan is an advisor to Leo, an Irish mob boss, who seems to have every elected official under his control. Leo has problems with an Italian counterpart, Johnny Casper, who wants to take Leo’s world away from him. Tom has his problems to deal with: his growing gambling debts to bookie, Bernie Bernbaum, and his affair with Leo’s girlfriend, Verna. Having no morals and no allegiances, Tom decides to tell Leo of his affair and this leads him to swap sides and work for Casper but is this a smart ploy to play the two bosses off each other or is Tom just out for himself? It’s hard to know where to start when talking about this exquisite piece of cinema. Everything plays an important part in making this near to perfection as you can get. From the opening scene, in which we are first introduced to the main protagonists, you know that this is going to be a wordy journey into another, forgotten world. The dialogue doesn’t just crackle. It literally fizzes. Fast-paced, smart and full of wit, these aren’t just lines that placed on paper to formulate a story. This dialogue sounds like they have escaped from a Cagney film or a Bogart thriller. The Coens have a keen ear and none more so than here. They don’t just write the words, they make them live. The cinematography is crisp and clean from Barry Sonnenfield, giving a rich texture to every scene, especially when the tension builds. The Coens set up the major scenes brilliantly, most noted in the assassination attempt on Leo’s life, in which the mob boss is almost caught out but two Tommy Gun killers while he listens to Danny Boy. It’s a masterclass in creating an exciting, tense set piece with no need to dialogue and yet it sticks in the memory long after it has finished. Then there’s Carter Burwell’s beautifully haunting score, that captures the mood and tone of the piece with grace and elegance, even though the violence is sometimes brutal and unforgiving. It never interferes with the drama but sits back and compliments it. Finally there are the performances. All pitch perfect. all completely in tune with the direction of the piece. Character actors J.E. Freeman and Joe Polito are given plenty to do here. Freeman, as the menacing Eddie Dane, brings a sense of evil and foreboding throughout, while Polito, as Casper, is both humourous and vile in equal measures. John Turturro, as Bernie, gives one of his finest performances and Marica Gay Harden is superb as moll, Verna, with a punch as hard as her tongue lashing, she holds herself up well against the near all-male cast. Albert Finney is perfectly cast as Leo, a man full of power and brimming with an air of anger. He has always commanded the screen with his presence and here he uses that to the best effect. You totally believe in his mob boss attitude. Finally there’s Gabriel Byrne as Tom. Tom is a completely ambiguous character. You are never sure who he is or what his motives are. Is he a killer? An advisor? A coward? An anti-hero? Reminiscent of Yojimbo or the Man With No Name, Byrne’s air of mystery is played out magnificently. It’s not until the final scenes that you understand his thinking and then you are still hazy. 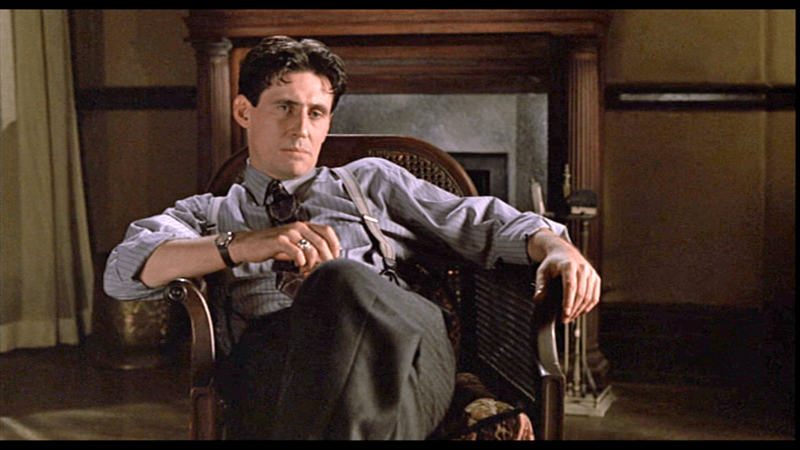 Over the years, Miller’s Crossing has somewhat been forgotten in the catalogue of Coen movies and, for that matter, among the gangster films too. The brothers have produced some excellent films since this and we are constantly reminded on the merits of other gangster films such as The Godfather and Scarface. Yet here is a film that, maybe isn’t better than the Coppola classic but it certainly is far superior than Pacino’s Cuban epic. Yet many people haven’t even heard of it. It’s about time that it got rediscovered. Trust me, this is cinematic gold.